David Dow, "Confessions of an Innocent Man"
Mimi Methvin, Democratic endorsed candidate for the 3rd Congressional District, discusses her challenge of GOP incumbent U.S. House Rep. Clay Higgins. Robert Travis Scott, President of the Public Affairs Research Council, surveys six amendments on the ballot statewide next Tuesday. 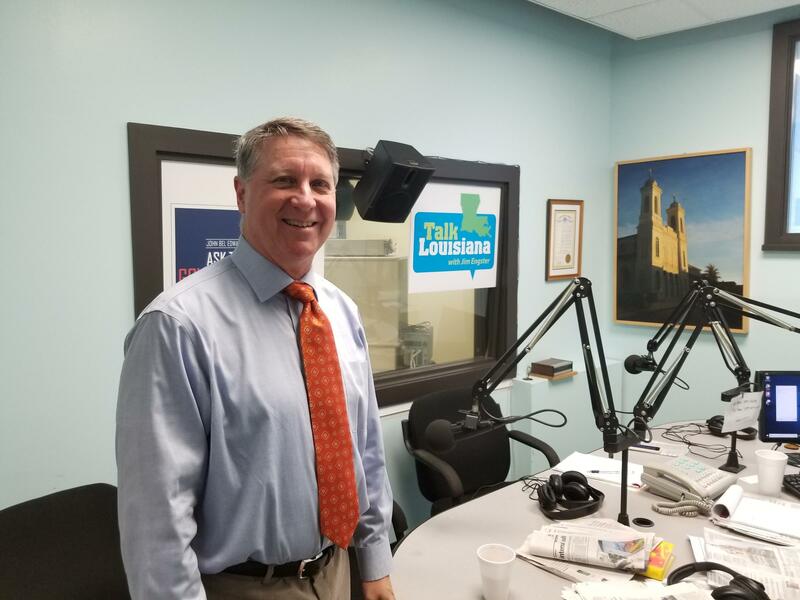 Former state lawmaker Troy Hebert and Southeastern Louisiana University Professor Dayne Sherman on the continuing impasse on the budget in Louisiana and the first 70 weeks of the presidency of Donald Trump. Public Affairs Research Council Robert Travis Scott on the prospect of yet another Special Session. There have already been six in the 28 months of Gov. John Bel Edwards. Julie Schwam Harris, Co-Chair Legislative Agenda for Women, commented on the implications of the budget impasse at the State Capitol. Public Affairs Research Council President Robert Travis Scott on a contentious regular session that could set the stage for volatile debate about the fiscal cliff. Historian William Hitchcock on “The Age of Eisenhower.” Hitchcock profiles the 34th American President who had great affinity for Louisiana. Writer Zachary Lazar, professor at Tulane, on his latest novel, “Vengeance,” which has Angola as the backdrop to his story about a prisoner serving a life sentence for murder.